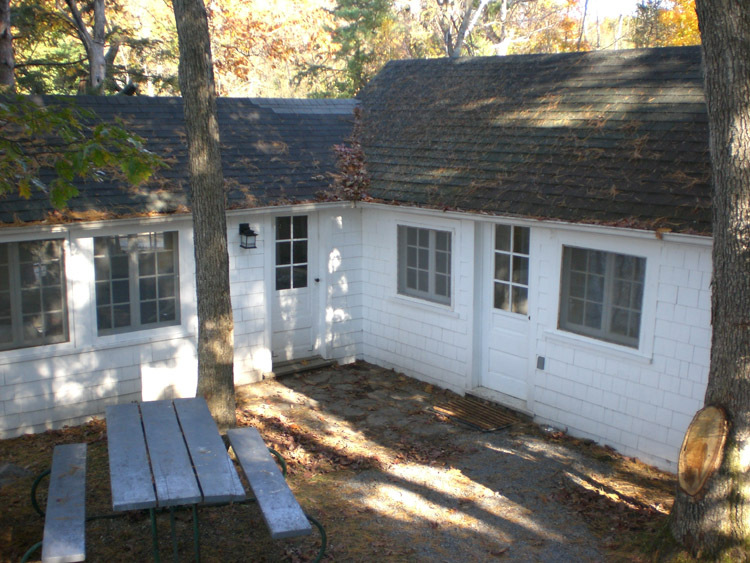 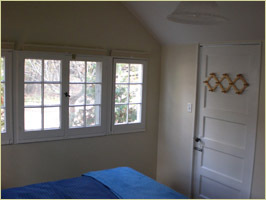 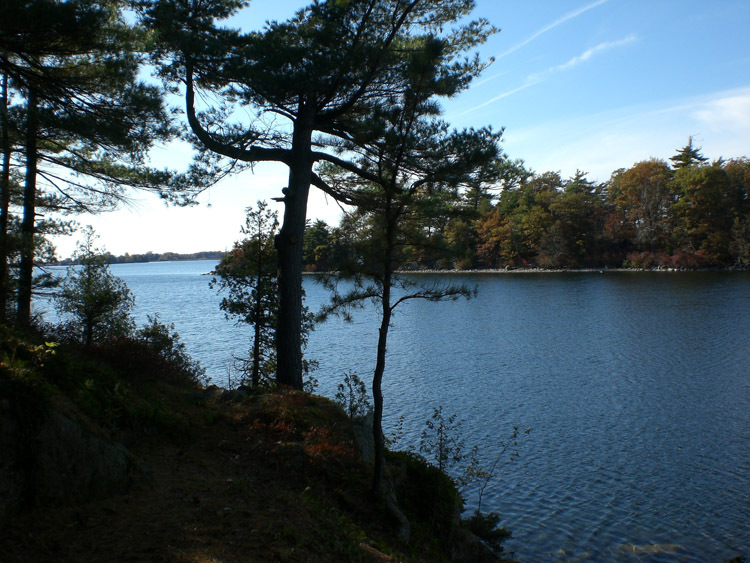 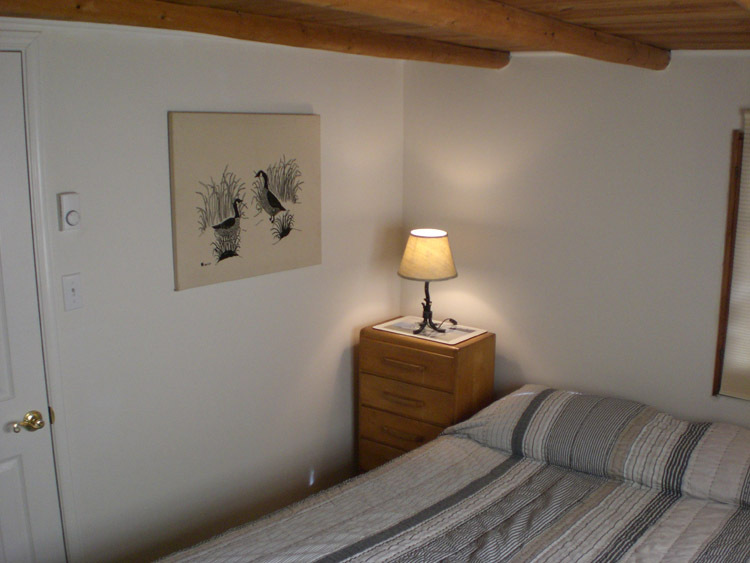 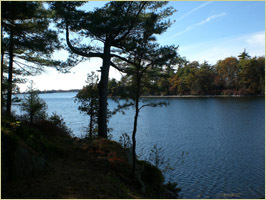 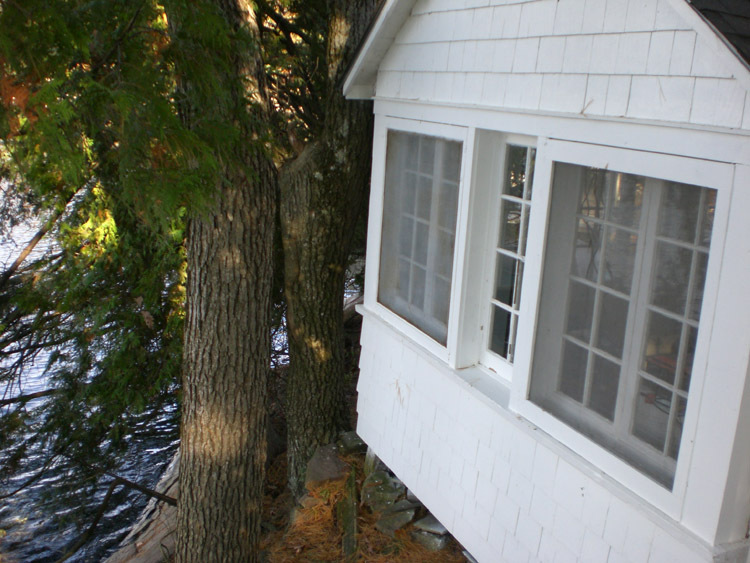 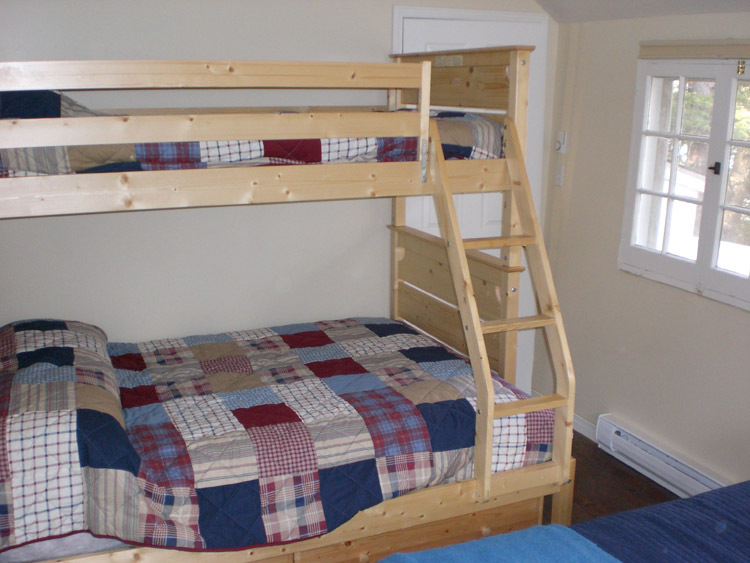 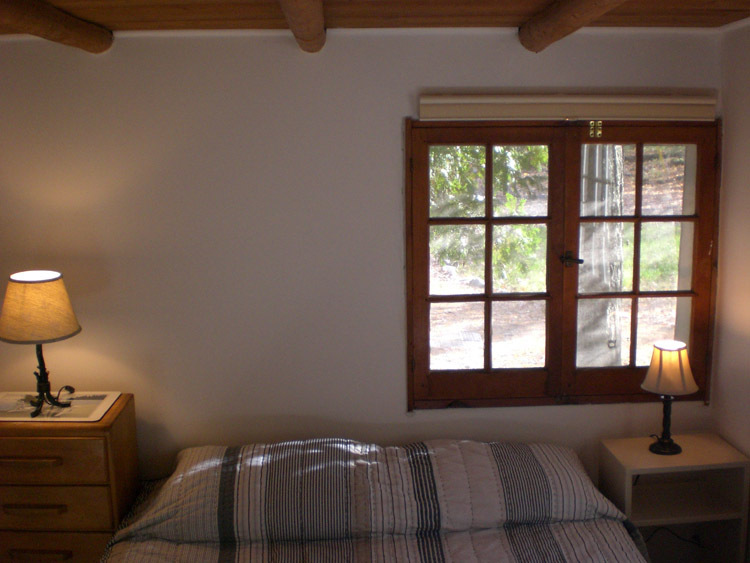 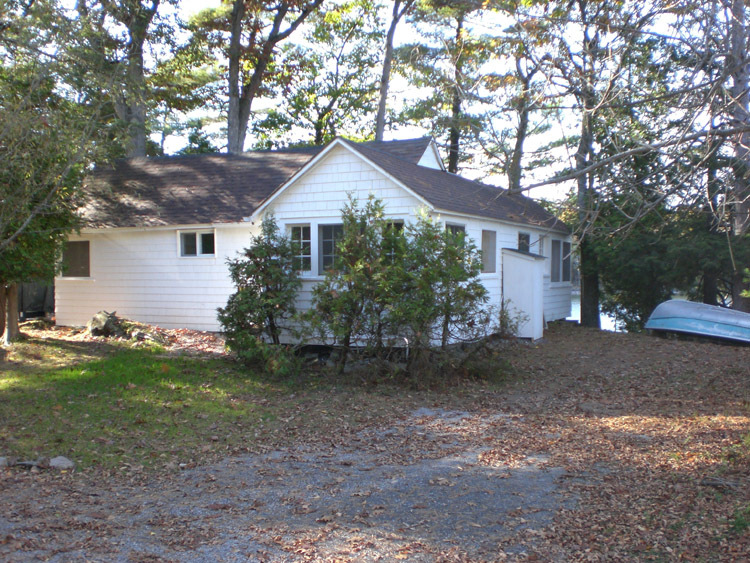 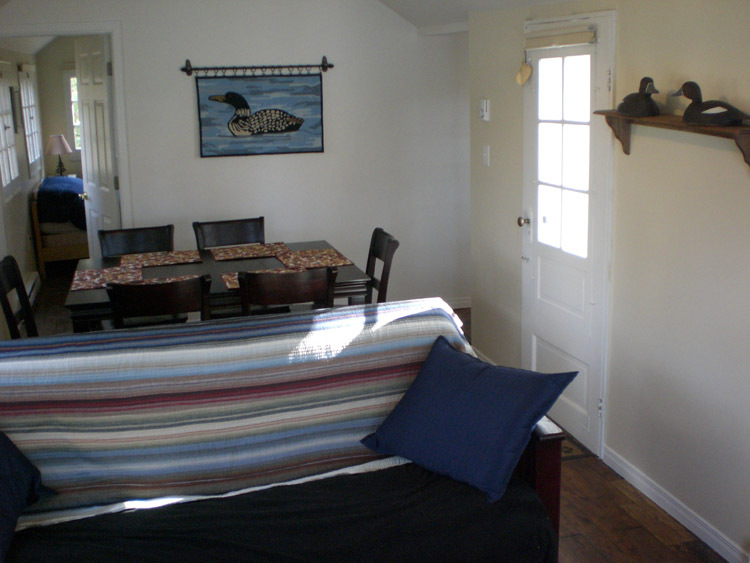 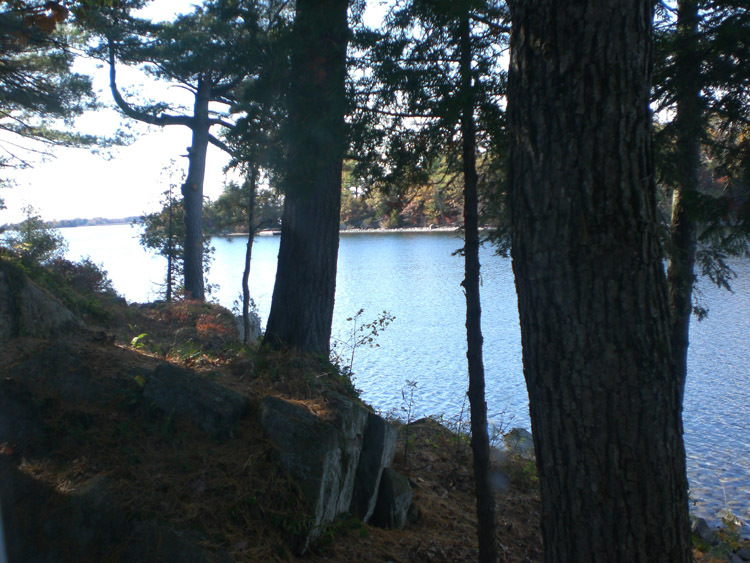 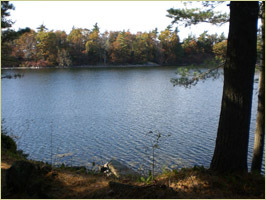 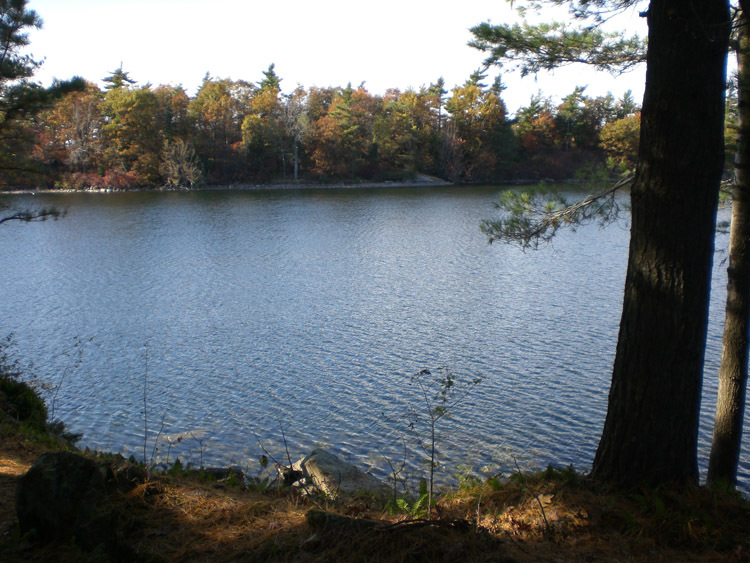 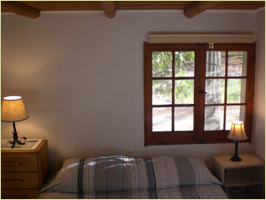 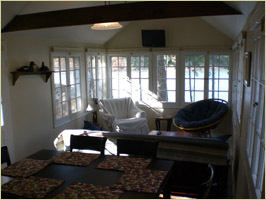 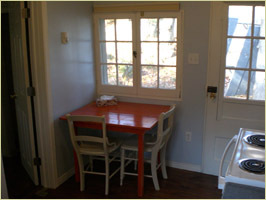 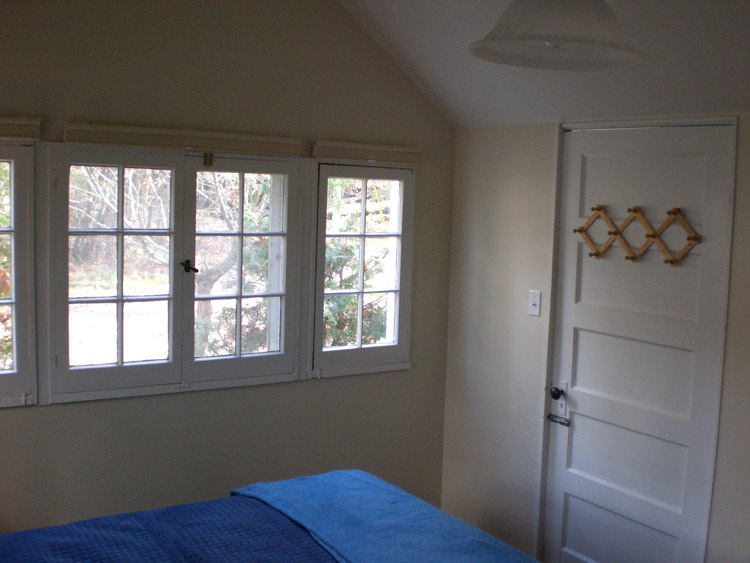 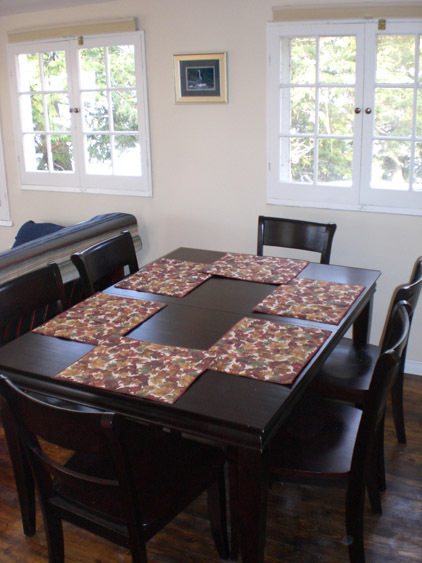 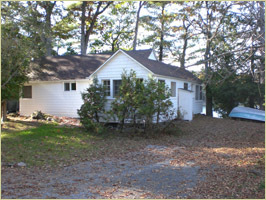 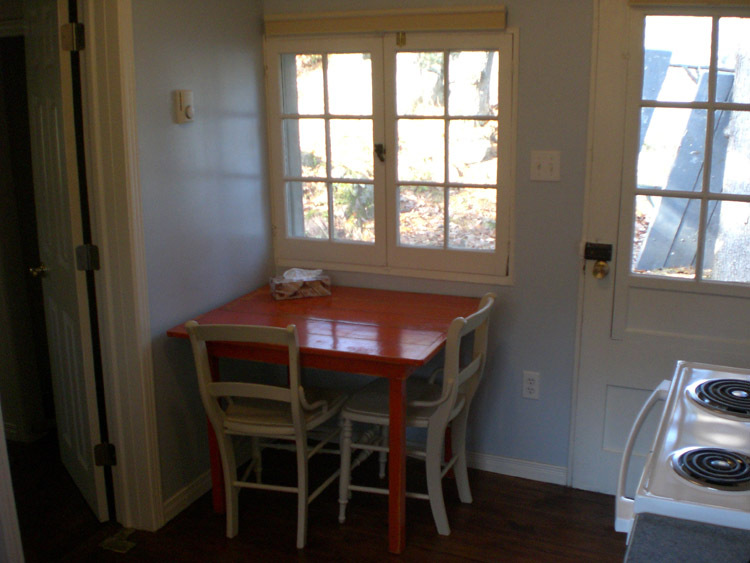 Completely remodeled in 2008, this is our largest cottage with 2 bedrooms and sleeping arrangements for up to 8 people. 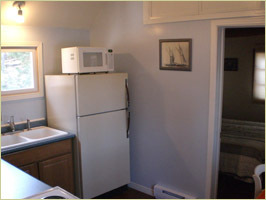 It offers a full kitchen with 4-burner stove and oven. 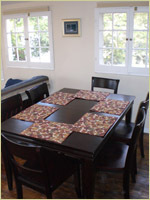 The dining room table has 6 six chairs plus an additional leaf and 2 separate chairs that can be added to seat 8. The living room area has a full futon and 2 lounge chairs in front of 6 large windows overlooking the water (the cottage is literally only feet from the water). Bedroom #1 has a queen bed, closet, desk and dresser. 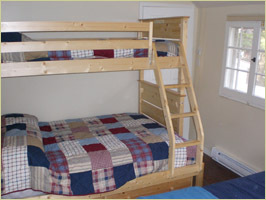 Bedroom #2 has 2 full beds and a single. 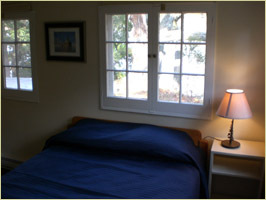 Sleeping pillows are also provided for the full futon in the living room. 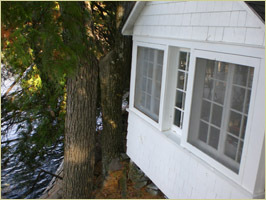 Just outside the door is a private area that includes a picnic table and gas BBQ grill, again located just feet from the water. 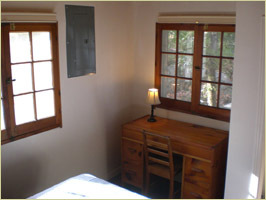 Consider renting Cottage #3 as well if you would like an extra bedroom. 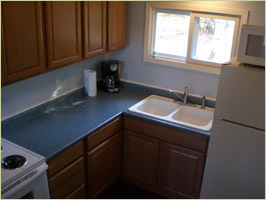 - Complete kitchen-we have thought of everything! 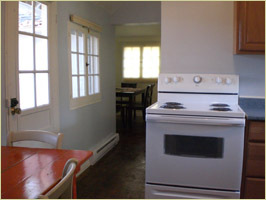 (4-burner stove with oven, microwave, large fridge, all kitchen and grill utensils, dishware, salad bowls, and more). *Please note that we require a 2 night minimum stay during the non-peak season, and 1 week minimum during peak season.